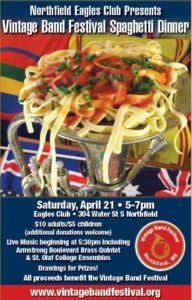 Join us at the Northfield Eagles Club for dinner on Saturday, April 21. Live music from local musicians throughout the evening. 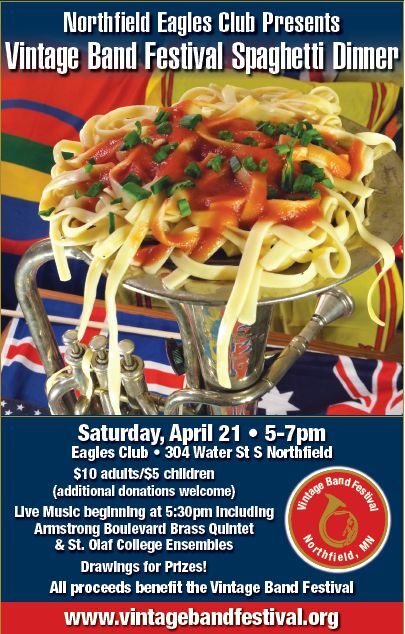 All proceeds benefit Vintage Band Festival. Click on the picture for details.